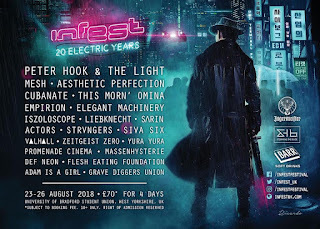 This performance will precede their highly anticipated appearance at renowned Catton Park based metal festival; Bloodstock Festival, on August 13th where they will be playing the main stage alongside the likes of Gojira, Mastodon & Paradise Lost. 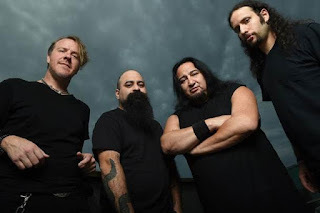 Fear Factory are still celebrating the release of critically acclaimed 9th studio album, ‘Genexus’, which was released in August 2015 via Nuclear Blast. The record was produced by vocalist Burton C. Bell and guitarist Dino Cazares, (and co-produced by Rhys Fulber) with mixing handled by famed British producer and engineer, Andy Sneap (Arch Enemy, Testament, Exodus, Machine Head). It is the sound of Fear Factory in-extremis, the concrete-breaking staccato riffs that open the record with 'Autonomous Combat System' to the soaring melodies of 'Dielectric' to the album’s elegiacal closer, 'Expiration Date.' It is an unforgiving and unforgettable statement from a band that has long pushed the boundaries of extreme music. Formed in Los Angeles, California in 1990, Fear Factory completely changed the world of metal and have become a huge influence on the genre ever since their inception. The band’s unique sound helped bridge the gap between death metal, grindcore, thrash, and industrial on landmark releases such as; ‘Soul Of A New Machine’, ‘Demanufacture’, and their gold-selling release ‘Obsolete’. The impact of technology has been hard-wired into their astringent lyrical zeitgeist since deploying 1992’s genre-shattering debut LP, ‘Soul Of A New Machine‘. Future-Shock thematics and dystopian detritus litter the band’s aural landscapes. Founded by resolute frontman Burton C. Bell and potent guitarist Dino Cazares, the struggle for humanity becomes Fear Factory ’s singular howl in the face of an ever-deepening technological abyss where topics, including cloning, artificial intelligence and various shades of personal and social dehumanisation, have turned from science fiction to present-day fact.